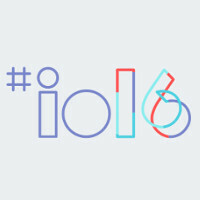 Google I/O 2016 was huge, so which new feature/service are you most excited about? Two new apps, one for chat, the other for video calling. Android Now's metamorphosis into Google Assistant. A Google Home overmind for your... well, home. Android Pay in more and more parts of our lives, and more convenient than ever. The Instant Apps project set to change the way we experience apps going forward. Multitasking in Android N and picture-in-picture for Android TV. A new VR platform to rule them all. Android Wear 2.0. Is your head spinning yet? Quite possibly. And this isn't even an extensive list of all the new features and services announced at Google I/O 2016 last week. But it's close enough, sans developer-only goodies, which are not unimportant, but usually fall outside our editorial coverage ballpark. Even without them, however, it's fair to say that I/O 2016 was a beast in terms of new stuff being unveiled and detailed. So, without any further ado, and after we've (hopefully) given y'all enough time to process all the news, do let us know: which new feature (or service) are you most excited about? Google I/O 2016 was huge, so which new feature are you most excited about? And you be forgotten in 5 min. Don't confuse everyone with yourself. Most tech sites have been calling it interested at the least. Don't confuse most tech sites with yourself. Keep selling until someone buys. Duo and Allo are interesting, but it is not ideal. First it's one too many apps. They all should be bundle into hangouts or one singular app. Second, one of the appeals of iMessage and Facetime is they are already native and integrated into iOS, no need to download an extra app. Anyone with an iPhone or Ipad can just use it. Thus, potentially getting access to millions of people without sorting through different apps wondering if they have access to a particular app for free calling and messaging. Duo and Allo is not much different than the thousands of other videocalling and messaging apps like viber or whatsapp, it's just made by Google. Once simplified and integrated it can be great. Zex999 you make you sense.. You say facetime is built in iOS and you dont have to sort out all apps to reach ppl. Well all your friend only use iphone? I know about half my friend use iphone other half android.. so in the end still have to sort out wich app to use right? cant use facetime on android. So i recommend to use apps available on all platform like skype ect those are much better if you dont want to sort out wich app to use or not. So in the end Facetime and imessage are just an app working on iphone only ( 20% of worldwide smartphone ) and what you said is simply wrong sorry. I understand what you are saying, but from my experience it is a lot harder in practice. I use Android, but most of my family members switched to iPhone so they can Facetime with grandparents and grandkids, and such. And for many older folks I know in my family did so for that vary reason. And you know Apple isn't going to be releasing their stuff multiplatform anytime soon. Google releases multiplatform. If they integrated Duo into Android then every Android user would be connected automatically, plus IOS users should be able to download the app just as they can do with hangouts. I just want the iMessage equivalent on Android and a way to get more apps on Android instead of iOS exclusives. You would get more exclusives, if it weren't for the rampant stealing of paid apps on Android. Seriously, why hasn't Google cracked down on this yet? I only get excited about the ones that actually make it to my phone.